As previous versions of Hyper-V, we need to shut down to add or remove virtual NICs on virtual machines. 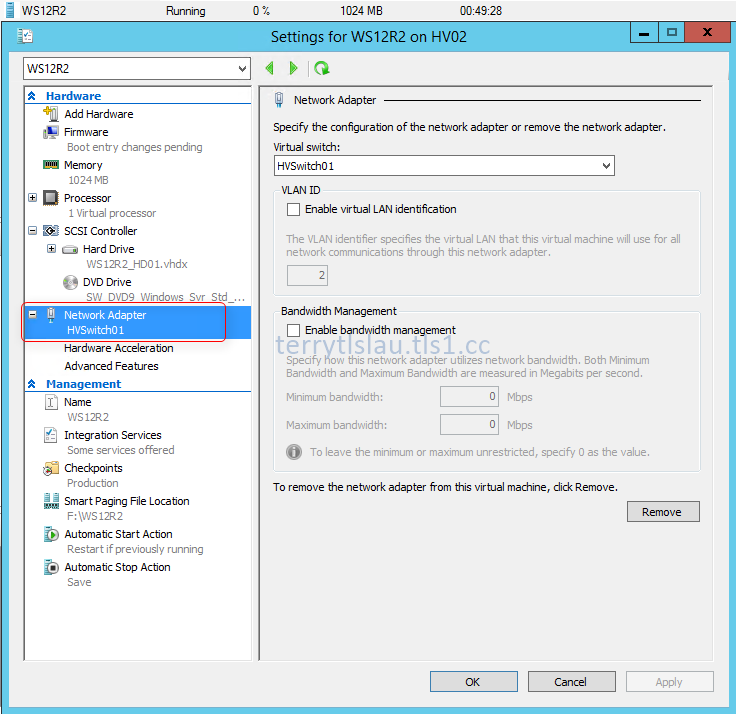 In Windows Server Technical Preview (vNext), we can hot add or remove virtual NICs on generation 2 virtual machines. The generation 2 virtual machines support Windows (Windows 8 x64, Windows 8.1 x64, Windows 10 x64, Windows Server 2012, Windows Server 2012 R2 and Windows Server Technical Preview (vNext)) and Linux (CentOS, Red Hat Enterprise, Debian, Oracle, SUSE, Ubuntu and FreeBSD) operating systems. Remark: Please check the Linux versions which are supported to install on generation 2. To hot add or remove virtual NICs on virtual machines, we can use Hyper-V manager or perform PowerShell cmdlet. 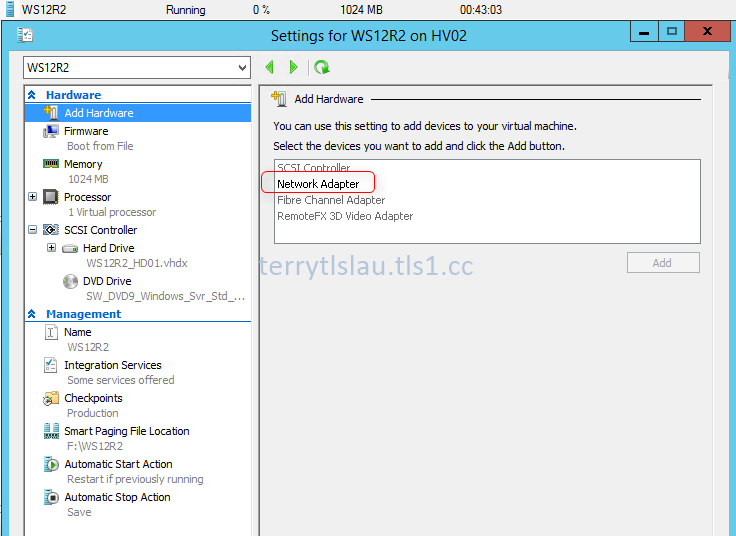 On Hyper-V Manager of Windows Server Technical Preview (vNext), we can select an option of virtual machine settings to add Network Adapter on a virtual machine which is running. 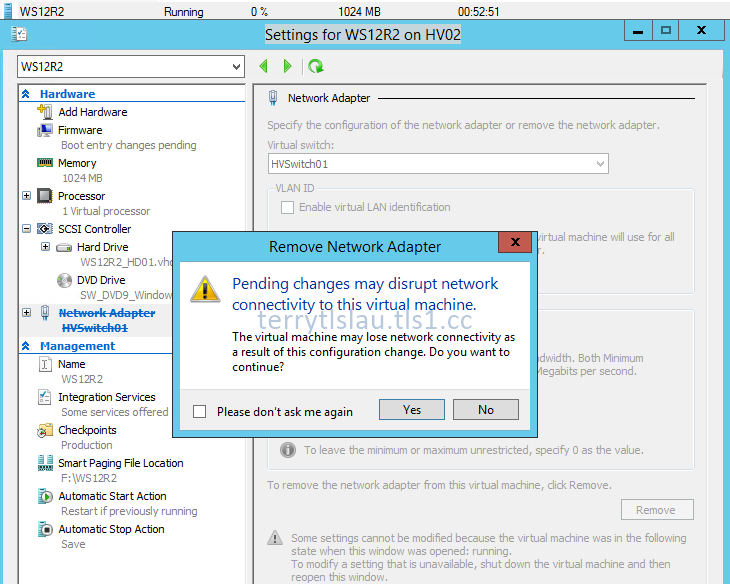 Add and apply the network adapter to the virtual machine. The virtual NIC was added to the running virtual machine immediately. Click "Remove" to remove the virtual NIC of this virtual machine. The virtual nic of this virtual machine was removed. Perform "Add-VMNetworkAdapter -VMName <VM Name> -SwitchName <Virtual Switch Name>" to add a virtual NIC for the virtual machine. Perform "Remove-VMNetworkAdapter -VMName <VM Name> -Name "Virtual NIC name"". Eventually, Microsoft added this feature on Hyper-V of Windows Server Technical Preview. Let wait and see the final version of the next version of Windows Server.